Having grown up in New Jersey, that meant summers full of fresh fruits and vegetables (New Jersey is, after all, the Garden State!). There are a number of things New Jersey does particularly well: blueberries, corn, and tomatoes are the big three. We always had corn or tomatoes at dinner every night during the summer months; corn was eaten on the cob and tomatoes were most often in the form of a caprese salad. Until this past summer/home leave. Instead of boiling corn and then eating it directly off the cob, my parents began sautéing it off the cob. 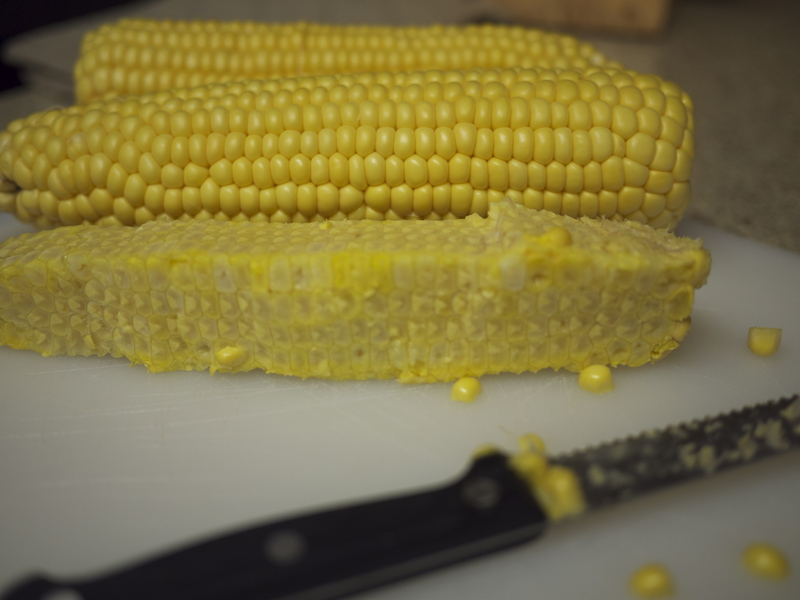 Corn cooked this way is particularly delicious, and it ends up being much faster to do. Oh, and dental floss post-meal becomes optional, not mandatory. We’ve made the dish twice in less than a week, as we’re trying to take advantage of end-of-the-season corn. Since we’re back at FSI for training and no longer in New Jersey, we don’t have New Jersey corn, but it was delicious nonetheless. 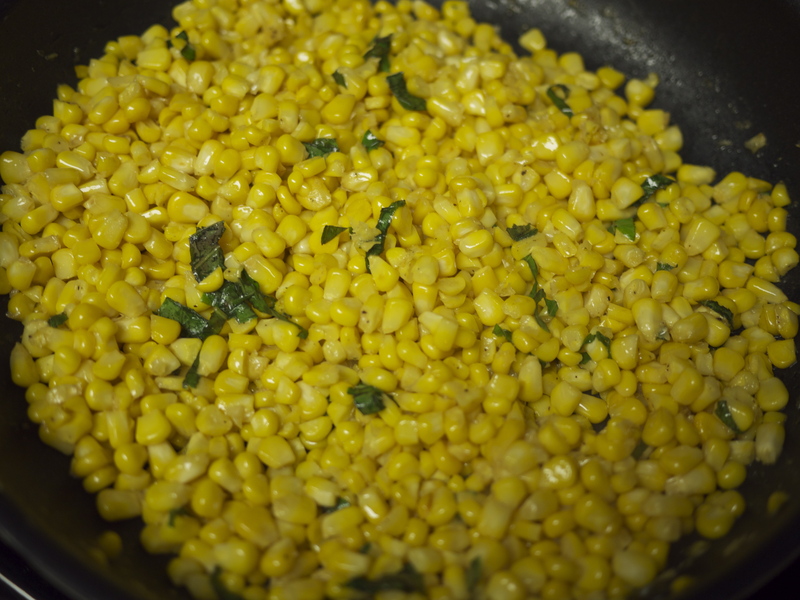 sautéed corn with basil, ready to eat! Huff. Of course Iowa corn is the most delicious.